M.Sc. 1971, Ph.D. 1978, D.Sc. 1992, Prof. 1999. Investigations of the Hydrogen Bond in the Crystals of Tropolone and Thiotropolone via Car-Parrinello and Path Integral Molecular Dynamics. Car-Parrinello and Path Integral Molecular Dynamics Study of the Proton Transfer in the Intramolecular Hydrogen Bonds in the Ketohydrazone-Azoenol System. J. Phys. Chem. B, 2018, 122, 7862-7873. Hydrogen detachment driven by a repulsive 1πσ* state - an electron localization function study of 3-amino-1,2,4-triazole. Phys. Chem. Chem. Phys., 2018, 20, 5210-5216. Theoretical studies on the molecular structure, conformational preferences, topological and vibrational analysis of allicin. Chem. Phys. Lett., 2016, 644, 5-13. On the multiple B-O bonding using the topological analysis of electron localization function (ELF). Car-Parrinello and Path Integral molecular dynamics study of the intramolecular hydrogen bonds in the crystals of benzoylacetone and dideuterobenzoylacetone. Phys. Chem. Chem. Phys., 2014, 16, 23026-23037. Effects of Xenon Insertion into Hydrogen Bromide. Comparison of the Electronic Structure of the HBr···CO2 and HXeBr···CO2 Complexes Using Quantum Chemical Topology Methods: Electron Localization Function, Atoms in Molecules and Symmetry Adapted Perturbation Theory. J. Phys. Chem. A, 2014, 118, 3980-3989. Electron Localization Function Study on the Chemical Bonding in a Real Space for Tetrahedrane, Cubane, Adamantane, and Dodecahedrane and Their Perfluorinated Derivatives and Radical Anions. J. Phys. Chem. A, 2014, 118, 4147-4156. Describing the chemical bonding in C70 and C70O3 - a quantum chemical topology study. Chem. Phys., 2014, 433, 22-30. Theoretical Study on Non-covalent Interactions in the Carbon Nanotube - Formic Acid Dimer System. J. Phys. Chem. C, 2014, 118, 4483-4488. Quantum delocalization of benzene in the ring puckering coordinates. Int. J. Quantum. Chem., 2014, 114, 534-542. Reaction of Atomic Hydrogen with Formic Acid. Phys. Chem. Chem. Phys., 2014, 16, 5993-6001. Matrix-isolation and computational study of the HXeY•••H2O complexes (Y = Cl, Br, and I). J. Chem. Phys., 2014, 140, 044323-044332. Density functional theory based molecular dynamics simulations of C70O3 doped with light molecules. Chem. Phys., 2014, 428, 121-126. Tuning of character of the N-O bond in HONO from covalent to protocovalent by different types of intramolecular interactions. J. Chem. Phys., 2013, 139, 12, 124308-124316. Spectroscopic and computational characterization of the HCO...H2O complex. J. Phys. Chem. A, 2013, 117, 21, 4385-4393. 162. Durlak P., Mierzwicki K., Latajka Z. Investigations of the Very Short Hydrogen Bond in the Crystal of Nitromalonamide via Car-Parrinello and Path Integral Molecular Dynamics. J. Phys. Chem. B, 2013, 117, 5430-5440. 161. Berski S., Gordon A., Latajka Z.
FONO: A difficult case for theory. The ELF and ELI-D topological studies on the chemical bonding using correlated wavefunctions. J. Chem. Phys., 2013, 138, 134313-134321. 160. Tsuge M., Berski S., Räsänen M., Latajka Z., Khriachtchev L.
Experimental and Computational Study of the HXeI---HY Complexes (Y = Br and I). J. Chem. Phys., 2013, 138, 104314-104323. 159. Durlak P., Latajka Z.
Ab initio Molecular Dynamics study of the very short O-H…O hydrogen bonds in the condensed phases. J. Chem. Theory Comput., 2013, 9, 65-72. 158. Shishkin O. V., Dopieralski P., Omelchenko I. V., Gorb L., Latajka Z., Leszczynski J.
Entropy versus aromaticity in the conformational dynamics of aromatic rings. J. Mol. Model., 2013, 19, 4073-4077. 157. Tsuge M., Berski S., Stachowski R., Räsänen M., Latajka Z., Khriachtchev L.
High Kinetic Stability of HXeBr upon Interaction with Carbon Dioxide: HXeBr···CO2 Complex in a Xenon Matrix and HXeBr in a Carbon Dioxide Matrix. J. Phys. Chem. A, 2012, 116, 18, 4510-4517. 156. Shishkin O. V, Dopieralski P., Omelchenko I. V., Gorb L., Latajka Z., Leszczyński J.
Dynamical Non-Planarity of Benzene. Evidences from the Car-Parrinello Molecular Dynamics Study. J. Phys. Chem. Lett., 2011, 2, 2881-2884. 155. Dopieralski P., Perrin C. L., Latajka Z. On the intramolecular hydrogen bond in solution. Car-Parrinello and Path Integrals Molecular Dynamics perspective. J. Chem. Theory Comput., 2011, 7, 3505-3513. 154. Panek P., Biczysko M., Latajka Z.
Reinvestigation of spectroscopic properties for ammonia-hydrogen halide complexes from Car-Parrinello Molecular Dynamics. Chem. Phys. Lett., 2011, 514, 44-48. 153. Durlak P., Berski S., Latajka Z.
Car-Parrinello and path integral molecular dynamics study of the hydrogen bond in the acetic acid dimer in the gas phase. J. Mol. Model., 2011, 17, 2995–3004. 152. Berski S., Latajka Z. A mechanism of the 1,3-dipolar cycloaddition between the hydrogen nitryl HNO2 and acetylene HCCH: the electron localization function study on evolution of the chemical bonds. Int. J. Quantum Chem., 2011, 111, 2378-2389. 151. Berski S., Latajka Z., Gordon A. J.
J. Comput. Chem., 2011, 32, 1528-1540. 150. Mierzwicki K., Berski S., Latajka Z. AIM and EFL analysis of the H-, Me- and F-substituted FeIII-TAML complexes. Chem. Phys. Lett., 2011, 507, 29-36. 149. Berski S., Latajka Z., Gordon A. J. Oxygen bound iodine (O-I) : the electron localization function (ELF) study on bonding in cis- and trans-IONO. Chem. Phys. Lett., 2011, 506, 15-21. 148. Kalinowski J., Berski S., Latajka Z. AIM and BET approach for ionic and covalent bond evolution in reaction of hydrogen elimination from ammonia and lithium hydride. Chem. Phys. Lett., 2011, 501, 587-593. 147. Berski S., Latajka Z., Gordon A. J. On the multiple B-N bonding in boron compounds using the topological analysis of electron localization function (ELF). New J. Chem., 2011, 35, 89-96. 146. Dopieralski P. D., Burakowski A., Latajka Z., Olovsson I.
Hydration of NaHCO3, KHCO3, (HCO3-)2, HCO3- and CO32- from molecular dynamics simulation and speed of sound measurements. Chem. Phys. Lett., 2011, 507, 89-95. 145. Durlak P., Latajka Z.
Proton transfer dynamics in the propionic acid dimer from path integral molecular dynamics calculations. J. Mol. Model., 2011, 17, 2159-2168. 144. Berski S., Latajka Z., Gordon A. J.
Ab initio and quantum chemical topology studies on the isomerization of HONO to HNO2. Effect of the basis set in QCT. J. Comput. Chem., 2010, 31, 2555-2567. 143. Berski S., Latajka Z., Gordon A. J.
Quantum chemical topology study on the electronic structure of cis- and trans-FONO. J. Chem. Phys., 2010, 133, 034304, 1-9. 142. Durlak P., Latajka Z.
Car-Parrinello and path integral molecular dynamics study of the hydrogen bonds in 2-acetyl-1,8-dihydroxy-3,6-dimethylnaphthalene. Chem. Phys. Lett., 2010, 499, 56-61. 141. Berski S., Latajka Z.
Quantum chemical topology: the electronic structure of the alkaline nitrites MONO (M = Li, Na, K) studied by means of topological analysis of the electron localization function. Int. J. Quantum Chem., 2010, 110, 1890-1900. 140. Berski S., Latajka Z., Gordon A. J.
Protocovalent N–O bonding in methyl nitrite (CH3ONO) and ethyl nitrite (C2H5ONO). Topological analysis of the electron localization function (ELF) and electron localizability indicator (ELI-D) functions. Chem. Phys. Lett., 2010, 493, 392-398. 139. Durlak P., Mierzwicki K., Latajka Z., Ratajczak H.
Nature of bonding in substituted polyacetylene: a combined AIM-ELF analysis. J. Mol. Struct., 2010, 976, 392-396. 138. Dopieralski P. D., Latajka Z., Olovsson I.
Proton transfer dynamics in crystalline maleic acid from molecular dynamics calculations. J. Chem. Theory Comput., 2010, 6, 1455-1461. 137. Shishkin O. V., Dopieralski P., Palamarchuk G. V., Latajka Z.
Rotation around the glycosidic bond as driving force of proton transer in protonated 2'-deoxyriboadenosine monophosphate (dAMP). Chem. Phys. Lett., 2010, 490, 221-225. 136. Dopieralski P. D., Latajka Z., Olovsson I.
Proton-transfer dynamics in the (HCO3-)2 dimer of KHCO3 from Car-Parrinello and path-integrals molecular dynamics calculations. Acta Crystallogr., Sect. B. Struct. Sci., 2010, B66, 222-228. 135. Dopieralski P., Panek J., Mierzwicki K., Latajka Z., Ratajczak H., Barnes A. J. Theoretical study on the polarizability and hyperpolarizability of hydrogen bonded complexes of nitropyridines with hydrogen fluoride. J. Mol. Struct. (Theochem), 2009, 916, 72-75. 134. Yaremko A. M., Ratajczak H., Barnes A. J., Baran J., Durlak P., Latajka Z.
Fermi resonance and strong anharmonic effects in the absorption spectra of the ν-OH (ν-OD) vibration of solid H–and D-benzoic acid. Chem. Phys., 2009, 364, 51-63. 133. Durlak P., Latajka Z.
Car-Parrinello and path integral molecular dynamics study of the intramolecular hydrogen bond in the novel class of anionic H-chelates: 6-nitro-2,3-dipyrrol-2-ylquinoxaline anion. Chem. Phys. Lett., 2009, 480, 173-177. 132. Bil A., Latajka Z., Morrison C. A.
C70 oxides and ozonides and the mechanism of ozonolysis on the fullerene surface. A theoretical study. J. Phys. Chem. A., 2009, 113, 9891-9898. 131. Durlak P., Latajka Z.
Car-Parrinello molecular dynamics and density functional theory simulations of infrared spectra for acetic acid monomers and cyclic dimers. Chem. Phys. Lett., 2009, 477, 249-254. 130.Wieczorek R., Durlak P., Latajka Z.
DFT studies of H3N–X (X= Li, Na, K, Rb, Cs and Fr) systems. Pol. J. Chem., 2009, 83, 761-769. 129. Dopieralski P., Panek J., Latajka Z.
First-principles investigation of isomerization by proton transfer in β-fumaric acid crystal. J. Chem. Phys., 2009, 130, 164517, 1-9. 128. Latajka Z., Gajewski G., Barnes A. J., Xue D., Ratajczak H.
Hyperpolarizabilities of some model hydrogen-bonded complexes: PM3 andab initio studies. J. Mol. Struct., 2009, 928, 121-124. 127. Dopieralski P. D., Latajka Z., Olovsson I.
Proton distribution in KHCO3 from ab initio molecular dynamics simulation. Chem. Phys. Lett., 2009, 476, 223-226. 126. Durlak P., Latajka Z., Berski S.
A Car-Parrinello and path integral molecular dynamics study of the intramolecular lithium bond in the lithium 2-pyridyl-N-oxide acetate. J. Chem. Phys., 2009, 131, 024308, 1-8. 125. Kisowska K., Berski S., Latajka Z. The structure and chemical bonding in the N2—CuX and N2···XCu ( X= F, Cl, Br) systems studied by means of the molecular orbital and quantum chemical topology methods. J. Comput. Chem., 2008, 29, 2677-2692. 124. Berski S., Mierzwicki K., Bil A., Latajka Z. The protocovalent N—O bond: quantum chemical topology (QCT of ELF and ELI-D) study on the bonding in the nitrous acid H—O—N=O and its relevancy to the experiment. Chem. Phys. Lett., 2008, 460, 559-562. 123. Lundell J., Latajka Z.
Vibrational calculations for the H2O...CO complex. J. Mol. Struct., 2008, 887, 172-179. 122. Latajka Z., Gajewski G., Barnes A. J., Ratajczak H.
Hyperpolarizabilities of hydrogen-bonded complexes of phenol derivatives with ammonia: PM3 andab initio studies. J. Mol. Struct., 2008, 880, 48-51. 121. Ratajczak H., Barnes A. J., Baran J., Yaremko A. M., Latajka Z., Dopieralski P.
Anharmonic interactions and infrared bandshape of the hydrogen bond vibration of potassium hydrogen (deuterium) maleate crystals. J. Mol. Struct., 2008, 887, 9-19. 120. Latajka Z., Gajewski G., Barnes A. J., Ratajczak H.
Hyperpolarizabilities of strongly hydrogen-bonded molecular complexes: PM3 andab initio studies. J. Mol. Struct., 2007, 844-845, 340-342. 119. Durlak P., Morrison C. A., Middlemiss D. S., Latajka Z.
Car-Parrinello and path integral molecular dynamics study of the hydrogen bond in the chloroacetic acid dimer system. J. Chem. Phys., 2007, 127, 064304, 1-8. 118. Berski S., Gajewski G., Latajka Z.
Electron localization function (ELF) study on intramolecular delocalization of the electron density in the H2X, H2C=X and XO2 ( X= O, S, Se, Te) molecules: role of the atomic core and lone pair. J. Mol. Struct., 2007, 844-845, 278-285. 117. Bil A., Berski S., Latajka Z.
J. Chem. Inf. Model., 2007, 47, 1021-1030. 116. Panek J. J., Wawrzyniak P. K., Latajka Z., Lundell J.
Interaction energy decomposition analysis for formic acid complexes with argon and krypton atoms. Chem. Phys. Lett., 2006, 417, 100-104. 115. Lundell J., Berski S., Lignell A., Latajka Z.
Quantum chemical study of the hydrogen-bonded HXeOH-H2O complex. J. Mol. Struct., 2006, 790, 31-39. 114. Berski S., Latajka Z.
Quantum chemical topology description of the hydrogen transfer between the ethynyl radical and ammonia (C2H·+ NH3) - the electron localization function study. Chem. Phys. Lett., 2006, 426, 273-279. 113. Bil A., Latajka Z. The hydroperoxy radical as a hydrogen bond acceptor. HOO–HCl complexes—ab initio study. J. Comput. Chem., 2006, 27, 287-295. 112. Bil A., Latajka Z.
Hydroperoxy radical as hydrogen bond donor : NH3-HOO complex - ab initio and topological study. Chem. Phys. Lett., 2005, 406, 366-370. 111. Asselin P., Goubet M., Latajka Z., Soulard P., Lewerenz M.
Vibrational dynamics of the hydrogen bonded complexes (CH2)2O–HF and –DF investigated by combined jet- and cell-Fourier transform infrared spectroscopy. Phys. Chem., Chem. Phys., 2005, 7, 592-599. 110. Wawrzyniak P. K., Panek J., Lundell J., Latajka Z. On the nature of bonding in HCOOH...Ar and HCOOH...Kr complexes. J. Mol. Model., 2005, 11, 351-361. 109. Panek J., Jezierska A., Mierzwicki K., Latajka Z., Koll A.
Molecular modeling study of leflunomide and its active metabolite analogues. J. Chem. Inf. Model., 2005, 45, 39-48. 108. Goubet M., Asselin P., Soulard P., Lewerenz M., Latajka Z.
Vibrational dynamics of medium strength hydrogen bonds: Fourier transform infrared spectra and band contour analysis of the DF stretching region of (CH2)2 S–DF. J. Chem. Phys., 2004, 121, 7784-7794. 107. Bil A., Latajka Z. Examination of the hydroperoxy radical and its closed-shell "analogues" - the protonation sites: topological predictions and ab initio study of the protonated forms. Chem. Phys., 2004, 305, 243-252. 106. Bil A., Latajka Z. The examination of the hydroperoxy radical and its closed-shell "analogues" by means of topological methods of quantum chemistry: AIM and ELF. Chem. Phys., 2004, 303, 43-53. 105. Bil A., Latajka Z. The hydroperoxy radical and its closed-shell,analoques,: ab initio investigations. Chem. Phys. Lett., 2004, 388, 158-163. 104. Krajewska M., Latajka Z., Mielke Z., Mierzwicki K., Olbert-Majkut A., Sałdyka M.
Hydrogin bonding in allene complexes with nitric and nitrous acids: theoretical and infrared matrix isolation study. J. Phys. Chem. B., 2004, 108, 15578-15586. 103. Atamas N.A., Yaremko A. M., Seeger T., Leipertz A., Bieńko A., Latajka Z., Ratajczak H., Barnes A. J.
J. Mol. Struct., 2004, 708, 189-195. 102. Wawrzyniak P. K., Panek J., Latajka Z., Lundell J. Theoretical study of the complex between formic acid and argon. J. Mol. Struct., 2004, 704, 297-304. 101. Stępień M., Latos-Grażyński L., Szterenberg L., Panek J., Latajka Z.
Cadmium(II) and nickel(II) complexes of benziporphyrins. A study of weak intramolecular metal-arene interactions. J. Am. Chem. Soc., 2004, 126, 4566-4580. 100. Berski S., Ciunik Z., Drabent K., Latajka Z., Panek J. Dominant role of C-Br···N halogen bond in molecular self-organization. Crystallographic and quantum-chemical study of Schiff-base-containing triazoles. J. Phys. Chem. B., 2004, 108, 12327-12332. 99. Gawryszewska P., Malta O. L., Longo R. L., Silva F. R. G. e, Alves S., Mierzwicki K., Latajka Z., Pietraszkiewicz M., Legendziewicz J. Experimental and theoretical study of the photophysics and structures of europium cryptates incorporating 3,3'-bi-isoquinoline-2,2'-dioxide. 98. Lundell J., Berski S., Latajka Z.
Ab initio characterization of the xenon dihydride dimer - (HXeH)2. Chem. Phys. Lett., 2003, 371, 295-303. 97. Mierzwicki K., Latajka Z. Basis set superposition error in N-body clusters. Chem. Phys. Lett., 2003, 380, 654-664. 96.Gajewski G., Mierzwicki K., Latajka Z. Crystal structure and bonding properties of Li2I(OH). Chem. Phys. Lett., 2003, 369, 139-144. Theoretical study on the structures and vibrational spectra of the H2SO4—(CO2)x (x=1, 2) hydrogen bonded complexes. Chem. Phys. Lett., 2003, 374, 577-582. 94.Latajka Z., Gajewski G., Ratajczak H., Venturini J.
Hyperpolarizalities of pyridine derivatives and their protonated species:ab initio studies. Bull. Pol. Acad. Sci., Chem., 2003, 51, 1-4. 93. Bieńko A., Latajka Z., Sawka-Dobrowolska W., Sobczyk L., Ozeryanskii V. A., Pozharskii A. F., Grech E., Nowicka-Scheibe J. Low barrier hydrogen bond in protonated proton sponge. X-ray diffraction, infrared, and theoretical ab initio and density functional theory studies. J. Chem. Phys., 2003, 119, 4313-4319. 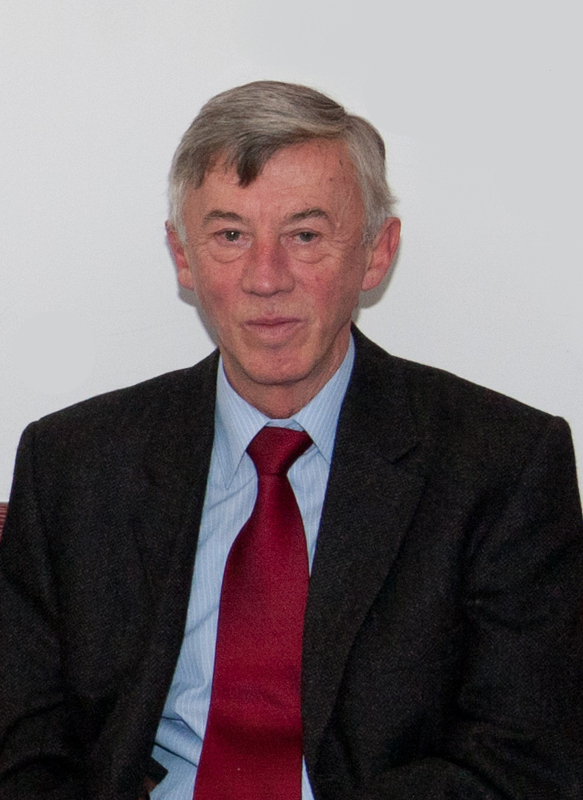 92.Utko J., Przybylak Sz., Jerzykiewicz L. B., Mierzwicki K., Latajka Z., Sobota P.
The first structurally characterized nonorganometallic titanium(III) alkoxo-bridged dinuclear complexes. Inorg. Chem., 2003, 42, 267-269. 91. D'Amelio N., Gaggelli E., Gajewska A., Kochman H., Kochman K., Kozłowski H., Latajka Z., Młynarz P., Panek J., Valensin G.
Structural analysis and sheep pituitary receptor binding of GnRH and its complexes with metal ions. J. Inorg. Biochem., 2003, 94, 28-35. 90. Biczysko M. S., Latajka Z. Accuracy of theoretical potential energy profiles along proton-transfer coordinate for XH-NH3 (X=F, Cl, Br) hydrogen-bonded complexes. J. Phys. Chem. A., 2002, 106, 3197-3201. 89. Barnes A. J., Latajka Z., Biczysko M. S.
Proton transfer in strongly hydrogen-bonded molecular complexes: matrix effects. J. Mol. Struct., 2002, 614, 11-21. 88. Berski S., Latajka Z. Comparison of lithium and hydrogen bonds in (X···Li···X)- and (X···H···X)- (X=F, Cl and Br) complexes: topological analysis of electron localization function. Int. J. Quantum Chem., 2002, 90, 1108-1120. 87. Bieńko A., Latajka Z.
Density functional studies of 1:1 and 1:2 sulfuric acid complexes with carbon monoxide. Chem. Phys., 2002, 282, 207-218. 86. Olbert-Majkut A., Mielke Z., Wieczorek R., Latajka Z.
Matrix isolation and DFT studies of nitrous acid complexes with nitrogen dioxide. Int. J. Quantum Chem., 2002, 90, 1140-1150. 85. Gajewski G., Latajka Z., Ratajczak H.
Density functional studies of the cobaltous acid dimer-preliminary results. Bull. Pol. Acad. Sci., Chem., 2002, 50, 131-137. 84. Atamas N.A., Yaremko A. M., Bulavin L. A., Pogorelov V. E., Berski S., Latajka Z., Ratajczak H., Abkowicz-Bieńko A. J.
Anharmonic interactions and Fermi resonance in the vibrational spectra of alcohols. J. Mol. Struct., 2002, 605, 187-198. 83. Panek J., Latajka Z., Lundell J.
DFT calculations of HRgX (Rg = rare gas; X = halogen) molecules. Phys. Chem., Chem. Phys., 2002, 4, 2504-2510. 82. Berski S., Latajka Z., Andrés J. The nature of the Au-Rg bond in the [AuRg4]2+ (Rg=Ar, Kr and Xe) molecules. Chem. Phys. Lett., 2002, 356, 483-489. 81. Lundell J., Panek J., Latajka Z.
Quantum chemical calculations on FXeSiF. Chem. Phys. Lett., 2001, 348, 147-154. 80. Mierzwicki K., Latajka Z.
Nonadditivity of interaction in Li(NH3)n and Li(NH3)n+ (n=1-4) clusters. Chem. Phys., 2001, 265, 301-311. 79. Ratajczak H., Baran J., Barnes A. J., Barycki J., Debrus S., Latajka Z., May M., Pietraszko A. Structural and vibrational study of a novel nonlinear optical material: 3-nitrobenzoic acid hydrazide. J. Mol. Struct., 2001, 596, 17-23. 78. Latajka Z., Ratajczak H.
Quantum chemical studies Cl-...HNO complex in the singlet and triplet electronic states. Bull. Pol. Acad. Sci., Chem., 2001, 49, 125-131. 77. Berski S., Latajka Z., Silvi B., Lundell J.
Electron localization function studies of the nature of binding in neutral rare-gas containing hydrides: HKrCN, HKrNC, HXeCN, HXeNC, HXeOH, and HXeSH. J. Chem. Phys., 2001, 114, 4349-4358. 76. Lundell J., Latajka Z.
Density functional studies of hydrogen-bonded systems. II. Solvation of the H2O-CO complex by a nonpolar solvent. Chem. Phys., 2001, 263, 221-230. 75. Panek J., Latajka Z. A theoretical study of NO2 complexes with aluminium and gallium based on topological analysis of electron density and electron localization function. Chem. Phys. Lett., 2000, 332, 617-623. 74. Mierzwicki K., Berski S., Latajka Z. Nature of chemical bonds in MCCH(M=Li, Na, K) based on the topological analysis of electron localisation function (ELF) and electron density. Chem. Phys. Lett., 2000, 331, 538-546. 73. Lundell J., Berski S., Latajka Z.
Dihydrogen-bonded complexes of xenon dihydride with water: Ab initio calculations and topological analysis of electron localisation function (ELF). Phys. Chem., Chem. Phys., 2000, 2, 5521-5527. 72. Mierzwicki K., Latajka Z. Basis set superposition error in calculations of nonadditive effects in Li(NH3)n and Li(NH3)n+ (n=1-4) cluster. Chem. Phys. Lett., 2000, 325, 465-472. 71. Gumienna-Kontecka E., Berthon G., Fritsky I. O., Wieczorek R., Latajka Z., Kozłowski H.
2-(Hydroxyimino)propanohydroxamic acid, a new effective ligand for aluminium. J. Chem. Soc., Dalton Trans., 2000, 4201-4208. 70. Fuster F., Silvi B., Berski S., Latajka Z.
Topological aspects of protonation and hydrogen bonding: the dihydrogen bond case. J. Mol. Struct., 2000, 555, 75-84. 69. Berski S., Lundell J., Latajka Z. A density functional study of the xenon dihydride-water complex. J. Mol. Struct., 2000, 552, 223-232. 68. Abkowicz-Bieńko A. J., Latajka Z.
Density functional study on phenol derivative-ammonia complexes in the gas phase. J. Phys. Chem. A., 2000, 104, 1004-1008. 67. Abkowicz-Bieńko A. J., Biczysko M. S., Latajka Z.
Solvent effect on hydrogen bonded ammonia-hydrogen halide complexes: continuum medium versus cluster models. Computers Chem., 2000, 24, 303-309. 66. Abkowicz-Bieńko A. J., Bieńko D. C., Latajka Z.
Density functional studies on the two conformers of 2-fluoro-4,6-dinitrophenol: vibrational assignment based on potential energy distribution. J. Mol. Struct., 2000, 552, 165-175. 65. Młynarz P., Gaggelli N., Panek J., Stasiak M., Valensin G., Kowalik-Jankowska T., Leplawy M. T., Latajka Z., Kozłowski H.
How the α-hydroxymethylserine residue stabilizes oligopeptide complexes with nickel(II) and copper(II) ions. J. Chem. Soc., Dalton Trans., 2000, 1033-1038. 64. Mielke Z., Latajka Z., Olbert-Majkut A., Wieczorek R.
Matrix infrared spectra and ab initio calculations of the nitrous acid complexes with nitrogen monoxide. J. Phys. Chem. A., 2000, 104, 3764-3769. 63. Kozłowski M., Kołodziej H. A., Wieczorek R., Latajka Z., Jurlewicz A.
Dielectric relaxation and molecular conformational energy of some arylazo benzothiazine derivatives. Chem. Phys., 2000, 252, 289-299. 62. Wieczorek R., Latajka Z., Lundell J.
Quantum chemical study of the bimolecular complex of HONO. J. Phys. Chem. A., 1999, 103, 6234-6239. 61. Stepanian S. G., Reva I. D., Radchenko E. D., Latajka Z., Wierzejewska M., Ratajczak H.
Combined matrix isolation IR spectroscopic and ab initio quantum chemical study of the molecular structure of aminomethylphosphinic acid. J. Mol. Struct., 1999, 484, 19-30. 60. Silvi B., Wieczorek R., Latajka Z., Alikhani M. E., Dkhissi A., Bouteiller Y. Critical analysis of the calculated frequency shifts of hydrogen-bonded complexes. J. Chem. Phys., 1999, 111, 6671-6678. 59. Panek J., Latajka Z. Theoretical study of aluminum and gallium atom complexes with CO2, CS2 and COS.
J. Phys. Chem. A., 1999, 103, 6845-6850. 58. Lundell J., Berski S., Latajka Z.
Density functional study of the Xe2H3+ cation. Chem. Phys., 1999, 247, 215-224. 57. Latajka Z., Mielke Z., Olbert-Majkut A., Wieczorek R., Tokhadze K. G.
Ab initio calculations and matrix infrared spectra ot the nitrous acid complexes with HF and HCl. Phys. Chem., Chem. Phys., 1999, 1, 2441-2448. 56. Biczysko M. S., Latajka Z. The influence of water molecules on the proton position in H3N-HX (X = F, Cl, Br) complexes. Chem. Phys. Lett., 1999, 313, 366-373. 55. Berski S., Silvi B., Latajka Z., Leszczyński J.
J. Chem. Phys., 1999, 111, 1-14. 54. Abkowicz-Bieńko A. J., Latajka Z., Bieńko D. C., Michalska D.
Theoretical infrared spectrum and revised assignment for para-nitrophenol. Density functional theory studies. Chem. Phys., 1999, 250, 123-129. 53. Berski S., Lundell J., Latajka Z., Leszczyński J.
Oxygen-bound fluorine (O-F): Ab Initio investigations of the hypofluorous acid dimer. J. Phys. Chem. A., 1998, 102, 10768-10776. 52. Wierzejewska M., Mielke Z., Wieczorek R., Latajka Z.
Infrared matrix isolation and theoretical studies of SO2-HNO3 and SO2-HONO systems. Chem. Phys., 1998, 228, 17-29. 51. Ciunik Z., Berski S., Latajka Z., Leszczyński J. New aspects of weak C-H pi bonds: intermolecular interactions between alicyclic and aromatic rings in crystals of small compounds, peptides and proteins. J. Mol. Struct., 1998, 442, 125-134. 50. Bouteiller Y., Desfranois C., Schermann J. P., Latajka Z., Silvi B. Calculation of electronic affinity and vertical detachment energy of the water dimer complex using the density functional theory. J. Chem. Phys., 1998, 108, 7967-7972. 49. Berski S., Latajka Z. Periodic Hartree-Fock studies on (HCl)∞ chain. Pol. J. Chem., 1998, 72, 1540-1550. 48. Berski S., Latajka Z. On the difference between hydrogen fluoride and hydrogen chloride crystals. J. Mol. Struct., 1998, 450, 259-263. 47. Berski S., Latajka Z. Periodic Hartree-Fock study of (HF)∞ chain. J. Mol. Struct. (Theochem), 1997, 389, 147-154. 46. Mróz I., Latajka Z. Direction of protein biosynthesis as a reflection of the prebiotic environment. J. Theor. Biol., 1997, 189, 151-158. 45. Lundell J., Latajka Z.
Density functional study of hydrogen-bonded systems: the water-carbon monoxide complex. J. Phys. Chem. A., 1997, 101, 5004-5009. 44. Boldeskul I. E., Tsymbal I. F., Ryltsev E. V., Latajka Z., Barnes A. J. Reversion of the usual ν(C-H/D) spectral shift of haloforms in some hydrogen-bonded complexes. J. Mol. Struct., 1997, 436-437, 167-171. 43. Mosyagin N. S., Titov A. V., Latajka Z.
Generalized relativistic effective core potential: Gaussian expansions of potentials and pseudospinors for atoms Hg through Rn. Int. J. Quantum Chem., 1997, 63, 1107-1122. 42. Berski S., Latajka Z. On the role of the basis set and electron correlation in the description of stacking interactions. Computers Chem., 1997, 21, 347-354. 41. Latajka Z., Scheiner S.
Structure, energetics and vibrational spectra of dimers, trimers and tetramers of HX (X = Cl, Br, I). Chem. Phys., 1997, 216, 37-52. 40. Mielke Z., Tokhadze K. G., Latajka Z., Ratajczak E.
Spectroscopic and theoretical studies of the complexs between nitrous acid and ammonia. J. Phys. Chem., 1996, 100, 539-545. 39. Michalska D., Bieńko D. C., Abkowicz-Bieńko A. J., Latajka Z.
Density functional, Hartree-Fock and MP2 studies on the vibrational spectrum of phenol. J. Phys. Chem., 1996, 100, 17786-17790. 38. Mielke Z., Latajka Z., Kołodziej J., Tokhadze K. G.
Matrix infrared spectra and ab initio calculations of the nitrous acid complexes with N2 and CO.
J. Phys. Chem., 1996, 100, 11610-11615. 37. Latajka Z., Berski S.
Density functional study of the H3N-Cl2 system - the importance of Hartree-Fock exchange in density functional methods. J. Mol. Struct. (Theochem), 1996, 371, 11-16. 36. Latajka Z., Scheiner S., Bouteiller Y., Ratajczak H.
Influence of electron correlation effects on calculated properties and vibrational spectra of FF··· NH3 and FCl··· NH3 charge transfer complexes. J. Mol. Struct., 1996, 376, 343-351. 35. Tokhadze K. G., Uspensky A. I., Mielke Z., Latajka Z., Ratajczak H.
Spectroscopic and theoretical studies of the OCO··· HF complex in pressurized gases. J. Chem. Soc., Faraday Trans., 1996, 92, 3473-3479. 34. Ostrovskii D. I., Valakh M. Ya., Karaseva T. A., Latajka Z., Ratajczak H., Yaremko A. M.
High-frequency vibrational spectra of hydrated antimony pentoxide. Optics Spektrosc., 1995, 78, 378-386. 33. Abkowicz-Bieńko A. J., Latajka Z., Scheiner S., Chalasinski G.
Site-site function and successive reaction counterpoise calculation of basis setsuperposition error for proton transfer. J. Mol. Struct., 1995, 342, 153-159. 32. Ventura O. N., Latajka Z., Ratajczak H., Orville-Thomas W. J. On the structure of the 3B1 excited state of water. J. Mol. Struct., 1995, 334, 127-136. 31. Latajka Z., Ratajczak H., Wasif S., Salama S. B. Structure and energetics of SO2-X- (X = F, Cl, Br and I) complexes. J. Mol. Struct. (Theochem), 1995, 333, 291-296. 30. Dolenko G. N., Latajka Z., Ratajczak H.
X-ray spectral determination of the effective charges on phosphorus, sulfur, and chlorine atoms in chemical comopunds with a nonempirical charge scale. Heteroatom Chem., 1995, 6, 553-557. 29. Latajka Z., Bouteiller Y., Scheiner S.
Critical assessment of density functional methods for study of proton transfer processes (FHF)-. Chem. Phys. Lett., 1995, 234, 159-64. 28. Latajka Z., Ratajczak H.
Molecular structure of betaine ab initio study. Bull. Pol. Acad. Sci., Chem., 1995, 43, 103-107. 27. Ventura O. N., Irving K., Latajka Z.
Chem. Phys. Lett., 1994, 217, 436-442. 26. Pagsberg P., Ratajczak E., Sillesen A., Latajka Z.
Kinetics and thermochemistry of the reversible gas phase reaction HONO + NH3H3N - HONO studied by infrared diode laser spectroscopy. Chem. Phys. Lett., 1994, 227, 6-12. 25. Lundell J., Räsänen M., Latajka Z.
Matrix isolation FTIR and ab initio study of complexes between formic acid and nitrogen. Chem. Phys., 1994, 189, 245-260. 24. Lundell J., Räsänen M., Latajka Z. Theoretical study of the H2O-2CO hydrogen-bonded ternary complexes. Chem. Phys. Lett., 1994, 222, 33-39. 23. Latajka Z., Ratajczak H.
On the role of bond functions in accurate description of hydrogen-bonded systems hydrogen fluoride dimer. Bull. Pol. Acad. Sci., Chem., 1994, 42, 571-576f. 22. Latajka Z., Bouteiller Y. Application of density functional methods for the study of hydrogen-bonded systems: the hydrogen fluoride dimer. J. Chem. Phys., 1994, 101, 9793-9799. 21. Bouteiller Y., Latajka Z. New theoretical interpretation of acetone - FX (X =H, D) infrared spectrum in the gas phase. J. Mol. Struct., 1994, 322, 175-180. 20. Silvi B., Latajka Z., Ratajczak H.
Pseudopotential periodic hartree-fock investigation of potassium dihydrogen phosphate. 19. Mijoule C., Latajka Z., Borgis D.
Density functional theory applied to proton-transfer systems : a numerical test. Chem. Phys. Lett., 1993, 208, 364-368. 18. Lundell J., Räsänen M., Latajka Z.
Complexes between formic acid and carbon monoxide : an ab initio investigation. J. Phys. Chem., 1993, 97, 1152-1157. 17. Latajka Z., Scheiner S., Ratajczak H.
The proton position in amine - HX (X= Br, I) complexes. Chem. Phys., 1992, 166, 85-96. 16. Latajka Z., Schenker S., Chalasinski G.
Basis set superposition error in proton transfer potentials. Chem. Phys. Lett., 1992, 196, 384-389. 15. Latajka Z., Scheiner S.
Proton transfer in the ground and first excited triplet states of malonaidehyde. J. Phys. Chem., 1992, 96, 9764-9767. Structure, energetics, and vibrational spectrum of H2O-X- (X = F, Cl) complexes. J. Mol. Struct. (Theochem), 1992, 253, 225-241. 13. Bouteiller Y., Sadi S., Latajka Z., Ratajczak H.
Ab initio study proton transfer between methylnitroamine and trimethylamine. Chem. Phys. Lett., 1992, 199, 55-61. 12. Bouteiller Y., Latajka Z.
J. Chem. Phys., 1992, 97, 145-149. 11. Bouteiller Y., Latajka Z., Ratajczak H., Scheiner S.
Theoretical vibrational study of FX...NH3 ( X = H, D, Li) complexes. J. Chem. Phys., 1991, 94, 2956-2960. 10. Moc J., Rudziński J. M., Latajka Z., Ratajczak H.
Ab initio calculation of the inversion barrier in the trichloromethyl radical. Chem. Phys. Lett., 1990, 168, 79-83. 9. Latajka Z., Scheiner S.
Structure, energetics and vibrational spectrum of H3N··HOH. J. Phys. Chem., 1990, 94, 217-221. 8. Latajka Z., Scheiner S.
Correlation between interaction energy and shift of the carbonyl stretching frequency. Chem. Phys. Lett., 1990, 174, 179-184. 7. Alagona G., Ghio C., Latajka Z., Tomasi J. Basis set superposition errors and counterpoise corrections for some basis sets evaluated for a few X-···M dimers. J. Phys. Chem., 1990, 94, 2267-2273. Basis sets for molecular interactions. Part 3. Properties of isolated subunits. J. Mol. Struct. (Theochem), 1990, 205, 13-24. 5. Latajka Z., Ratajczak H., Murto J., Orville-Thomas W. J.
Ab initio study of interactions between methanol and nitrogen or carbon monoxide. J. Mol. Struct., 1989, 194, 45-60. 4. Latajka Z., Ratajczak H., Person W. B. On the reliability of SCF ab initio calculations of vibrational frequencies and intensities of hydrogen-bonded systems. J. Mol. Struct., 1989, 194, 89-105. 3. Latajka Z., Scheiner S.
Dissection of basis set superposition error at SCF and correlated levels : HF dimer. J. Mol. Struct. (Theochem), 1989, 199, 9-22. 2. Latajka Z., Scheiner S.
The potential energy surface and equilibrium geometry of Ar··PH3. J. Mol. Struct., 1989, 198, 205-213. 1. Moc J., Latajka Z., Rudziński J. M., Ratajczak H., Szczęśniak M. M.
Structures and energies of the lithiated silanes. J. Chem. Soc. Perkin Trans. 2, 1989, 131-135.